Our May Virtual Tasting is tonight! 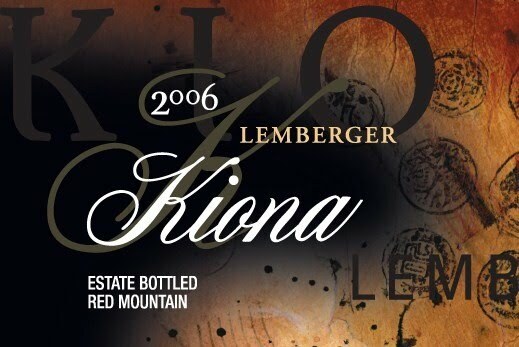 The wine is the 2006 Kiona Lemberger. This wine retails for $12 and is widely available. The tasting will take place from 7-8pm Pacific Time. 1. Buy this month’s wine from a local retailer or from the winery. For those in the Seattle area, 6th Avenue Wine Seller is offering a 10% discount on a bottle of the Lemberger for the event. Stop in and ask for the discount. 2. Post your comments/tweets on the wine that night between 7 and 8pm. For those on Twitter, follow me @wawinereport. I will be using the hashtag #kiona during the event. Look for updates to the blog and comments and tweets from virtual tasters starting at 7pm. Final Update: Lots of good discussion on Twitter and the comments here regarding this wine tonight. Check out #kiona for the Twitter feed. On Twitter, thanks to @nancyfeasts @ankerhauspub @wino4ever @yakyakwine @lindyirving @KionaWine @Sturat @WriteforWine @nectarwine @rperro @6thAveWine @Binkertje @enobytes and @Wine_Traveler for traveling in! I've had this wine a number of times over the years and no matter the vintage I've always noticed a VA-latex component on the palate. It doesn't cross the line into flawed, can't even drink stage but it's there and never seems to go away. I don't know if the wine sees more oxygen at some point in the wine making process, if it's due to native yeasts... I won't play winemaker but I notice it's there year after year, bottle after bottle. Anyway, I mention this to see if anyone else notices this or if I'm just hypersensitive to something in this wine. Tom, very interesting! Have never noticed this on this wine. I will keep a look out for it tonight and see if I can tell what you are referring to. Will be interesting to see if others notice the same. Thanks for the comment. LI, I found the nose a bit muted initially as well but opened up after a few minutes. 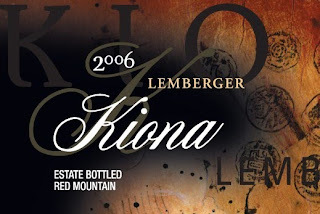 '05 was a pretty special year in many respects, including the '05 Kiona Lemberger. Thanks for the comment! My notes: black cherry, some kind of wild berry, and an earthy, rustic smell in the background. Spice on the palate. Very smooth, a little mellow in the middle, but pretty nice especially for the price. Roger, thanks for the notes. Definitely has some interesting earthy, rustic qualities to it. Part of what I like about this wine is that it has a lot more complexity than you usually see at this price point. An interesting story...lost to the sands of time?